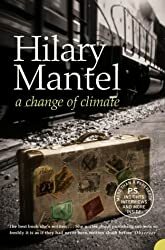 A Change of Climate is one of Hilary Mantel’s early books, first published in 1994 and described on the back cover as ‘˜a literary family saga’ and ‘˜a first rate thriller’. I quoted from the beginning of this book in this post. I noted that at the end of the book there is an About the Author section, which I’d just glanced over. In answer to one of the interviewer’s questions about the theme of the book, Hilary Mantel replied that there is a central secret, an enormous destructive secret. I didn’t want to spoil the book for myself so I didn’t read any more of her answers. And I don’t want to spoil it for anyone else so I’m not saying what that secret is in this post. The ‘enormous destructive secret‘ Hilary Mantel referred to is revealed just over halfway into the book. But the book abounds in secrets and it’s also about family, trust, disillusionment and tragedy, about bereavement and loss of faith, as one character observes, ‘faith is something people chase after, simply to give life meaning‘. Hilary Mantel writes a compelling story, subtly mixing the past and the present, moving seamlessly between the Eldred family’s current life (in the 1980s) in Norfolk, with their earlier life in Africa in the 1950s. I like her writing very much, never drawing attention to its style and drawing me in effortlessly into both time frames and places. It’s a family saga (most definitely not an Aga Saga) about Ralph and Anna Eldred, their four children and Ralph’s sister Emma. Ralph and Anna devote their lives to charity, filling their house with ‘Visitors’, described as either ‘Good Souls’ or ‘ Sad Cases’. Just after they were married Ralph and Anna went to South Africa as missionaries and under the system of apartheid there they ran up against the authorities, then moved to Beuchuanaland (Botswana) where a terrible and horrific event occurred and they returned to England. However, their memories of these traumatic events refused to remain buried, eventually bringing their lives and those of their children into terrible turmoil. If we are not to be mere animals, or babies, we must always choose, and choose to do good. In choosing evil we collude with the principal of decay, we become mere vehicles of chaos, we become subject to the laws of a universe which tends back towards dissolution, the universe the devil owns. In choosing to do good we show we have free will, that we are God-designed creatures who stand against all such laws. But he discovered that it’s not that simple, as the rest of the book goes on to relate. Ralph and Anna can’t escape their past, Anna in particular cannot come to terms with what happened. The book explores questions about forgiveness and tragedy, as well as how to cope with grief. I found that I was going round and round the point, yet I couldn’t put it on the page. I remember really struggling with it; it was like a wild animal that had to be civilised somehow, and in the end I just wrestled it on to the page by saying to myself, ‘Look, you’ve done this before and you can do it again’. Writing this book stands out as one of the most difficult times of my writing life. A great book on all counts, characters and locations beautifully described and a well constructed and convincing plot, powerful and challenging on several levels. When I first saw The Assassination of Margaret Thatcher I wasn’t sure I wanted to read it – not because of the controversy over the title story, but because I’m not especially keen on short stories. But Hilary Mantel is one of my favourite authors and after seeing her talk with James Runcie on The Culture Show I decided I definitely wanted to get the book. 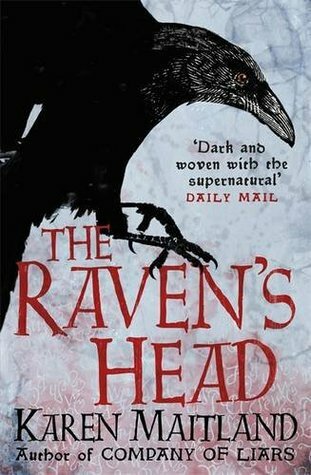 I enjoyed this collection of stories, which are brooding, somewhat melancholic, dark, disturbing and full of sharp and penetrating observations – brilliant! The title story is the last one in the book and is the only new story, the others having first appeared in other publications. I don’t find it easy writing about short stories, especially the very short ones, and so I’m not going to attempt to write about each of the ten stories in this book. The first one, Sorry to Disturb, describes the dilemma of a British woman living in Jeddah in Saudi Arabia when she finds herself befriended by a young Pakistani businessman – a situation that was ‘ripe for misunderstanding‘. This is one of my favourites in the collection. It has a claustrophobic atmosphere, as feeling trapped in her flat, yet ‘always observed: overlooked, without being precisely seen, recognised’ she was unable to refuse a friendship, wondering if Jeddah had left her ‘for ever off-kilter in some way‘. This view of life from a slightly different, skewed perspective and of being trapped is there in all these stories. The children in Comma, for example, spend their days during a long hot summer, ‘each day a sun like a child’s painted sun burned in a sky made white with heat’, drawn to watch what was happening at the Hathaways’ house, the house of the rich, built of stone, with a lofty round tower. In both this and Sorry to Disturb, there is an element of distinct class/cultural difference, of being outsiders. Winter Break is one of the shorter stories, but complete in itself, unlike so many short stories I’ve read. A childless couple are taking a winter break, the husband trying to convince his wife she wants a child – she’s reluctant as she ‘had reached that stage in her fertile life when genetic strings got knotted and chromosomes went whizzing around and re-attaching themselves.’ A moment of anxiety on the journey to their hotel ends in horror. How Shall I Know You is a much longer story. I often wonder what it’s like for authors going to venues and talking about their books and this story gives an insight into how it can be a dispiriting experience, staying in obscure and dingy places, feeling forlorn, exposed and generally insufficient. It has a grimly humorous side and underneath there is a darkness and bleakness. As with the other stories in this collection it is superbly written – you are there with the narrator, seeing the scenes, meeting the people and understanding their feelings and emotions. And then the last story – The Assassination of Margaret Thatcher. Mantel sets the scene – of the ‘place where she breathed her last‘ – a ‘quiet street, sedate, shaded by old trees: a street of tall houses, their faÃ§ades smooth as white icing, their brickwork the colour of honey.’ Waiting for the plumber to arrive, a woman lets a man into her flat, only to find out he has a gun and wants to shoot Margaret Thatcher from the flat window, as she leaves the hospital behind the flats. Far from being horrified or scared the woman sympathises with the gunman – her first reaction is that she should get a fee for the use of her premises. This too is a dark tale told with a dark sense of humour, and with depth of feeling. Overall then this is a compelling book, brilliantly written, keenly observed, with the power to chill and shock me. It is one that I will re-visit. One day when Kit was ten years old, a visitor cut her wrists in the kitchen. She was just beginning on this cold, difficult form of death when Kit came in to get a glass of milk. The woman Joan was sixty years old, and wore a polyester dress from a charity shop. A housewifely type, she had chosen to drip her blood into the kitchen sink. When Kit touched her on the elbow, she threw the knife on to the draining board and attempted with her good hand to cover Kit’s eyes. I haven’t read much more than this but these opening paragraphs have made me want to know more about the ‘Good Souls‘ and the ‘Sad Cases‘. Hilary Mantel’s work is so diverse with books ranging from personal memoir and short stories to historical fiction and essays. A Change of Climate is one of her early books, first published in 1994, described on the back cover as ‘a literary family saga’ and ‘a first rate thriller’. At the end of the book there is an About the Author section, which I’ve just glanced over. 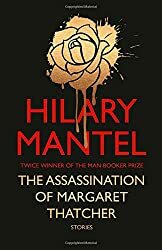 In answer to one of the interviewer’s questions about the theme of the book, Hilary Mantel replied that there is a central secret, an enormous destructive secret. I didn’t want to spoil the book for myself so I didn’t read any more of her answers. I’ll read the book to find out what that secret is. I was looking forward to Hilary Mantel’s talk last night at the Borders Book Festival in Melrose. I was not disappointed – far from it. It was a memorable evening as we sat in the packed Festival Marquee as Hilary Mantel and Kirsty Wark carried on their conversation. It was brilliant, or as Kirsty said at the end thanking Hilary – ‘it was absolutely fantastic’! Hilary Mantel is not only a fantastic writer she is also an articulate speaker – she is so enthusiastic about her subject and spoke with fluency, clarity, conviction and with power. She began by reading a short extract from Bring Up the Bodies, describing Thomas Cromwell, his appearance and his view of the portrait Hans Holbein had painted.The passage came to life as she spoke the words she had written. After that the conversation between the two women flowed effortlessly. I’ve seen both on TV and read many of Hilary Mantel’s book but they both have so much more presence in person. It was magnetic and mesmerising as they talked about the process of writing – does Hilary Mantel write her historical novels sequentially moving forward through history? No, she doesn’t. She researches, surrounds herself with her notes, her ideas and jots down descriptions, sections of dialogue and scenes, so that at no point can she answer where she is up to in the book – she cannot tell you the year, how many pages she has written, only that she needs another eighteen months before it will be finished. 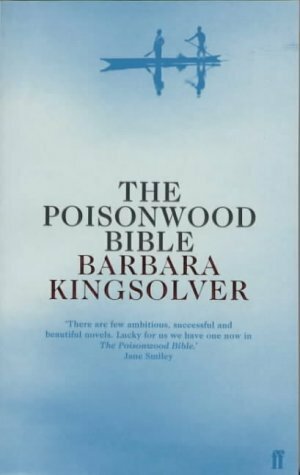 She lives in a parallel world – in the present and in the world of Cromwell and Henry VIII, plus all the characters, at one and the same time. It is always with her. When she started to write about Cromwell it was just going to be one book, but that soon changed and at present she is writing about the third book (The Mirror and the Light), leading up to Cromwell’s death. She tries as far as possible to be historically accurate, for the dialogue to be correct, but as a lot of what happened was not recorded – eg there is no transcript of Anne Boleyn’s trial – what she writes is her offering, her interpretation as it were. I was pleased Kirsty Wark asked her about writing in the present tense (something I often have difficulty reading, but didn’t in either Wolf Hall or Bring Up the Bodies). I can’t remember precisely but I think Hilary Mantel replied that she saw the people as though the scenes were being acted out before and wrote it as it happened. If that is not what she said that is the impression I came away with. I only know that for me in these books it all came to life as I read it with an immediacy that I don’t often find in novels – I was there, not just an observer. What does Hilary Mantel do in her ‘down time’, what does she read when she is not writing. Well, she doesn’t really have ‘down time’ and she doesn’t read novels when she is writing, she is so immersed in the world she is writing about that she can’t enter anyone else’s world. She reads round the subject, history, sociology etc. 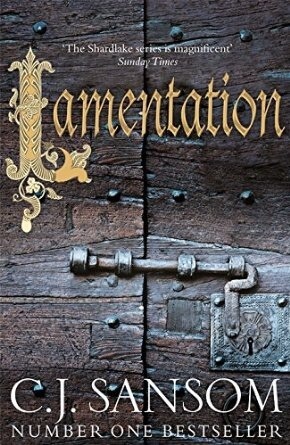 What will she write next – more historical fiction or a contemporary novel? She is not sure – she’s thinking about writing about writing historical fiction – I do hope she does. Maybe not historical fiction itself, as that’s a huge project taking several years to research and plan. When she was 22 she had dreamed of writing historical fiction and wrote her novel about the French Revolution. Then she hadn’t realised that most people this side of the Channel weren’t really interested in the Revolution. Well, actually, I was and I’ve read that novel – A Place of Greater Safety and that’s another epic novel that kept me intrigued, even though I knew the outcome before I read it. Kirsty Wark even touched on the question of the criticism Hilary Mantel had had over her comments about Kate Middleton. Her reply was a master of diplomacy, but it had upset her that her words had been taken out of context and she expressed her amazement at being woken one morning to find the press camped outside her house two weeks after her speech. 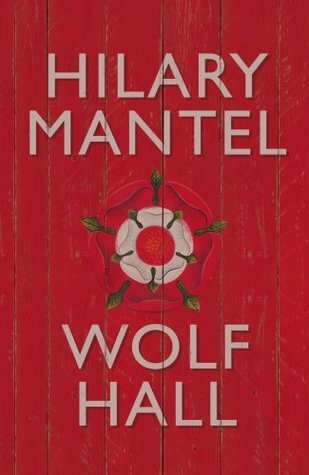 There were a few questions from the audience – would she write a prequel about Thomas Cromwell’s life on the continent, before the events in Wolf Hall. She liked that question but answered that she probably wouldn’t – there was little documentary evidence about all the places he’d been to and what he did, but I’m guessing she would have liked to have attempted it. There was so much more said – but I’ll stop here. It was a grand night out – an event I’m delighted to have experienced. I read a lot in May – well I read and listened, because three of the books were audiobooks, which was quite a novelty for me. In total I ‘read’ 11 books and 9 of them were crime fiction. So far I’ve only reviewed 4 of them. I’m aiming to review the rest of the books, but for now here are notes on them. Wycliffe and the Cycle of Death by W J Burley is set in Penzance in Cornwall. Matthew Glynn, a bookseller,is found bludgeoned and strangled, which sets Chief Superintendent Wycliffe a difficult mystery to solve. The answer lies in the past and in the Glynn family’s background. 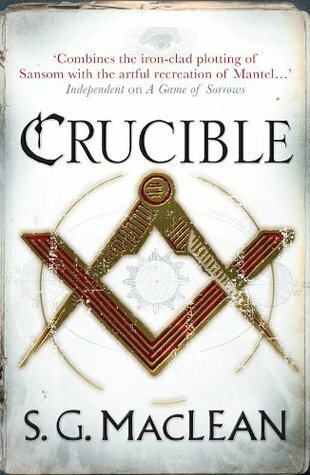 I enjoyed this book, which I read quickly, eager to know the outcome, but the ending was a let down. Murder in Mesopotamia by Agatha Christie. I always like Agatha Christie’s books and although I don’t think this is one her better books, it was a satisfying read. It’s a closed room type mystery. Who killed Louise, the wife of the celebrated archaeologist leading the Hassanieh dig? Only the people at the dig could have done it, but which one – they’re all under suspicion? Poirot doesn’t appear until quite late on in the book, but, of course, works it all out. The Hanging in the Hotel by Simon Brett (audiobook). This is the fifth of the Fethering Mysteries, in which Jude and her friend Carole investigate the death of one of the guests at the local country house hotel, following the dinner attended by the all-male members of the Pillars of Sussex the night before. It looks like suicide but Jude thinks it can’t be. I got rather tired listening to this book as Jude and Carole endlessly (or so it seemed) went over and over the events and questioned the suspects. Bring Up the Bodies by Hilary Mantel is the sequel to Wolf Hall. This book certainly deserves a post of its own. Here I’ll just comment that this chronicles the fall of Anne Boleyn, Henry VIII’s second wife and Cromwell’s part in satisfying Henry’s wishes. I don’t think it’s quite as captivating as Wolf Hall, but it does show just how devious Cromwell could be. My Crime Fiction Book of the Month is a close call between Fatherland by Robert Harris and The Redeemed by MR Hall, both of which had me engrossed. Fatherland is a fast paced thriller, set in a fictional Germany in 1964, a Germany that had been victorious in the Second World War. It begins with the discovery of the body of one of the former leading members of the Nazi party, who had been instrumental in devising ‘the final solution’. It’s a complex book and leads police detective Xavier March into a very dangerous situation as he discovers the truth. The Redeemed by MR Hall is by contrast not about a police investigation but is the third book in which Jenny Cooper, a coroner investigates the death of a man discovered in a church yard, the sign of the cross carved into his abdomen. At first it looks like a horrific suicide, but as Jenny delves deeper during her inquest she finds links to yet more deaths. This is the third book in M R Hall’s Jenny Cooper series and I enjoyed it so much that I immediately borrowed the first book, The Coroner, from the library. They do stand well on their own but I think it helps to read them in sequence. In The Coroner Jenny begins her career, having been a solicitor for fifteen years. She obviously has devastating events in her personal life that she has to deal with. May’s reading has been exclusively fiction, so I’m looking forward to reading some nonfiction in June. I’m feeling like reading a biography or two. 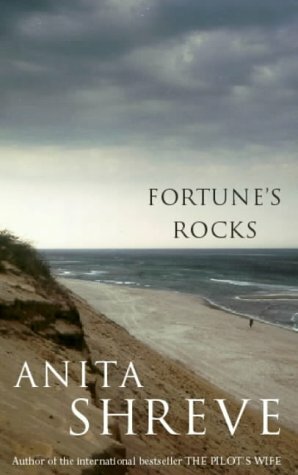 See the round-up post at Mysteries in Paradise for other bloggers’ choices of book of the month for May ‘“ and add your favourite May read to the collection.